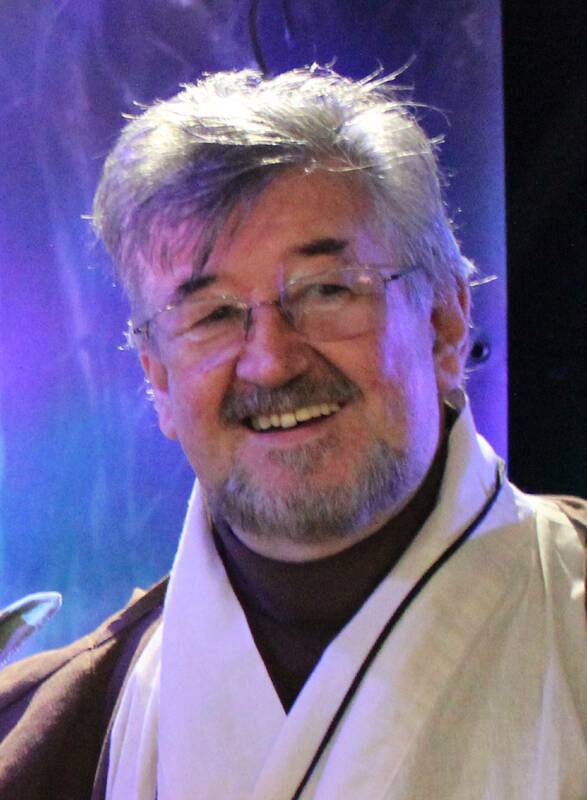 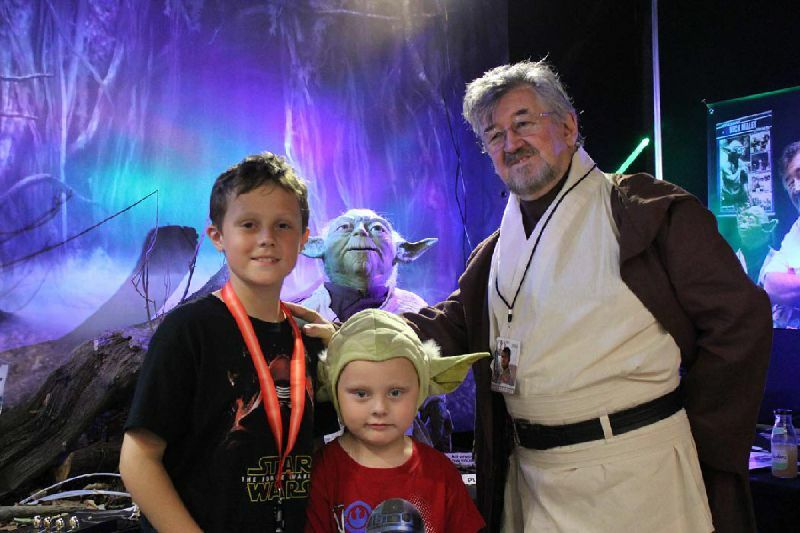 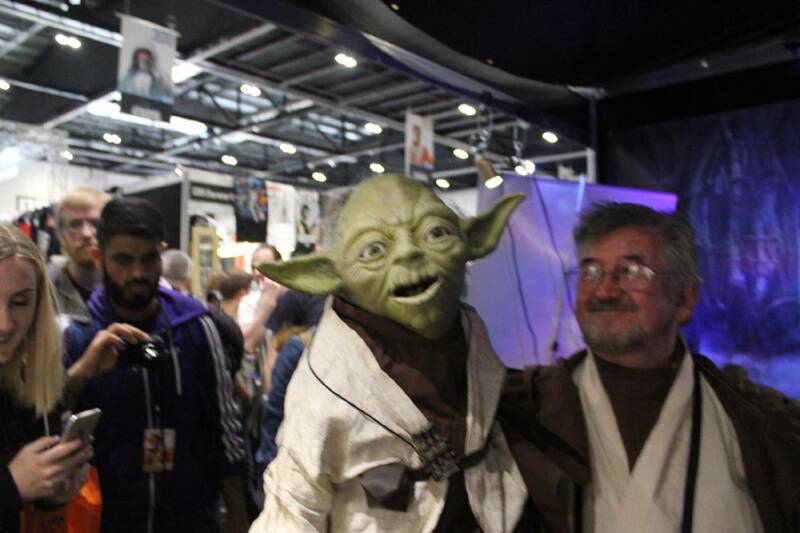 that Yoda Guy" Nick Maley at Star Wars Celbration Europe 2016. 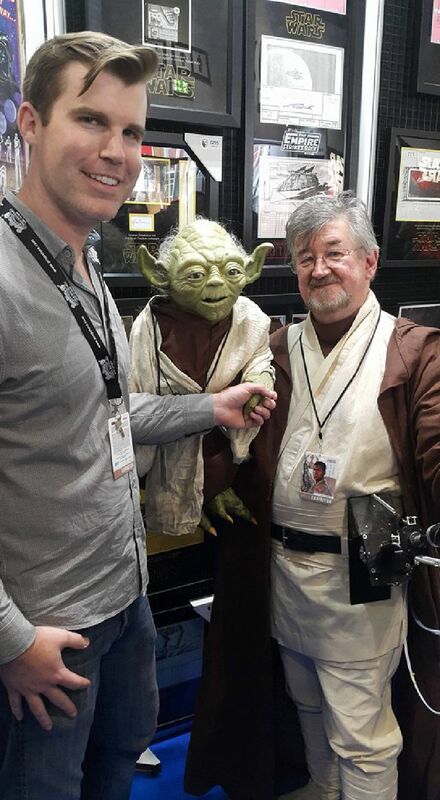 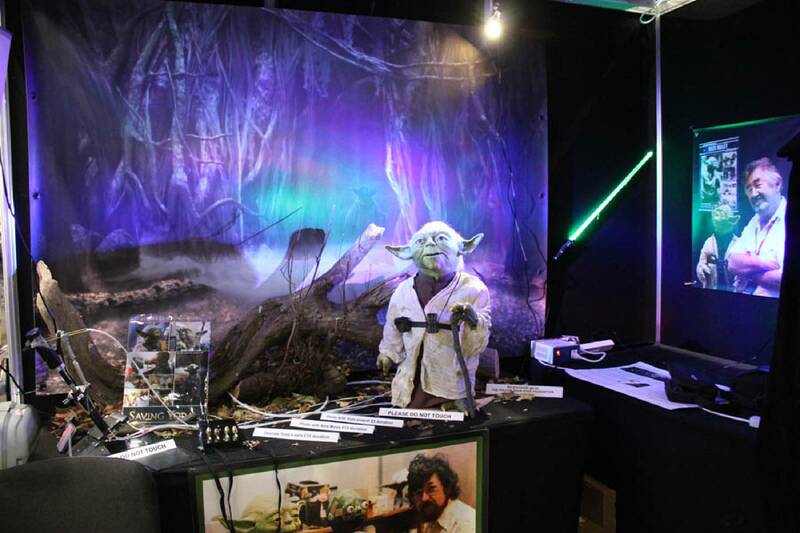 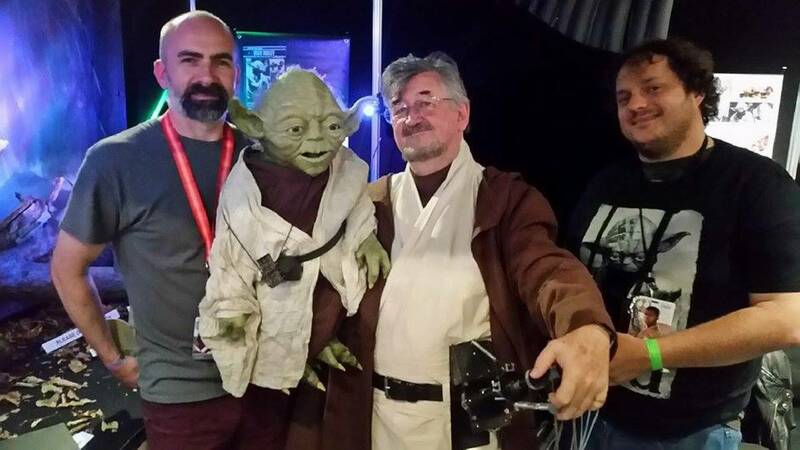 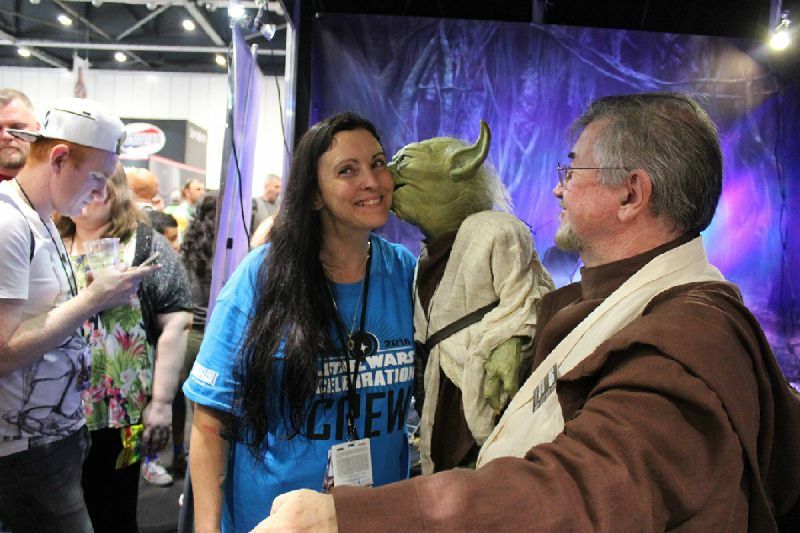 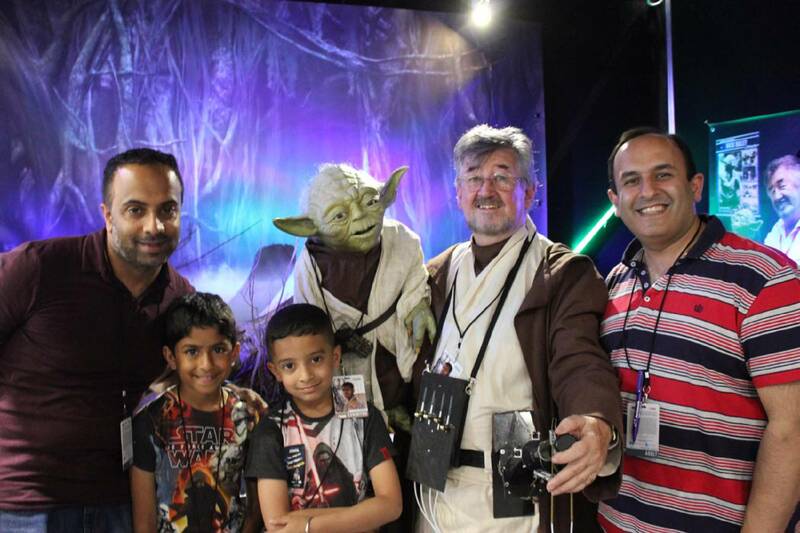 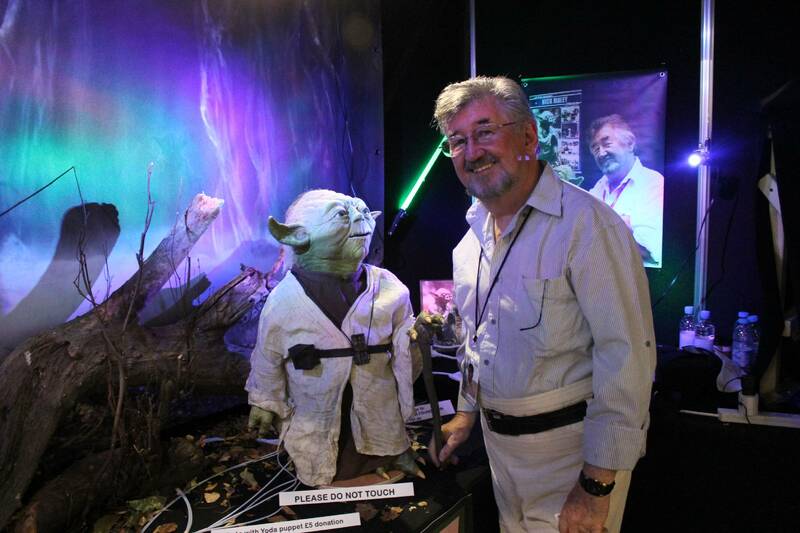 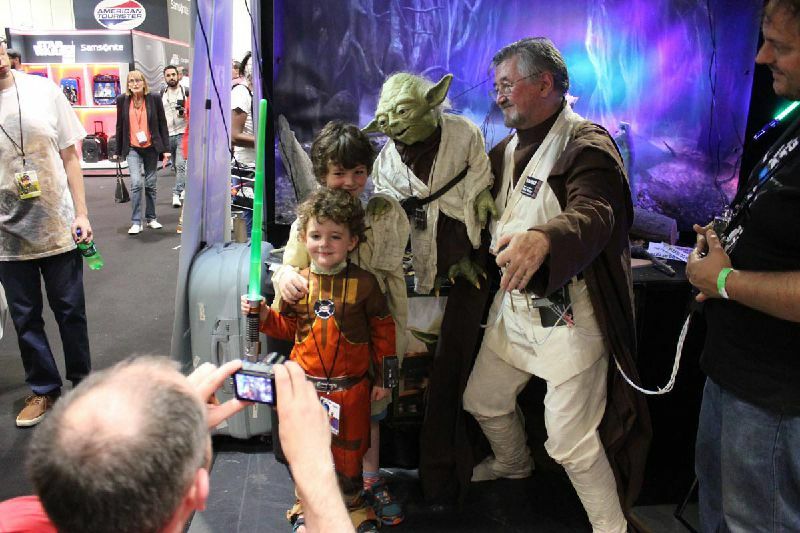 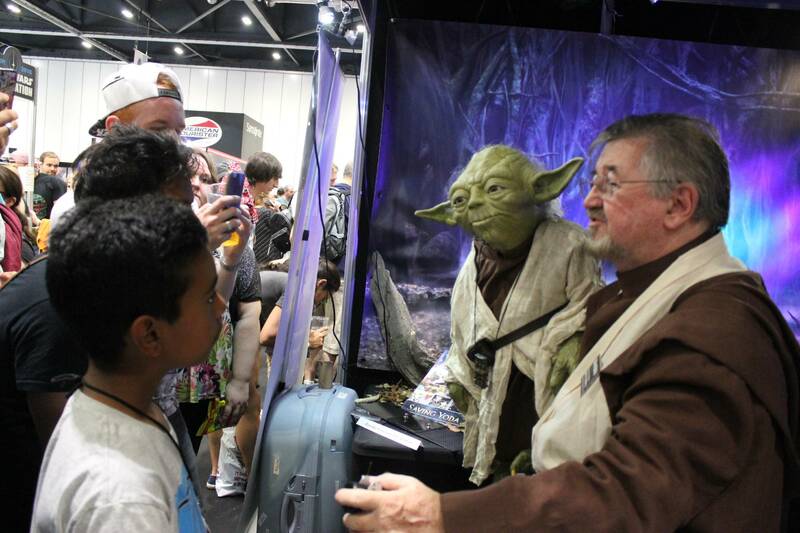 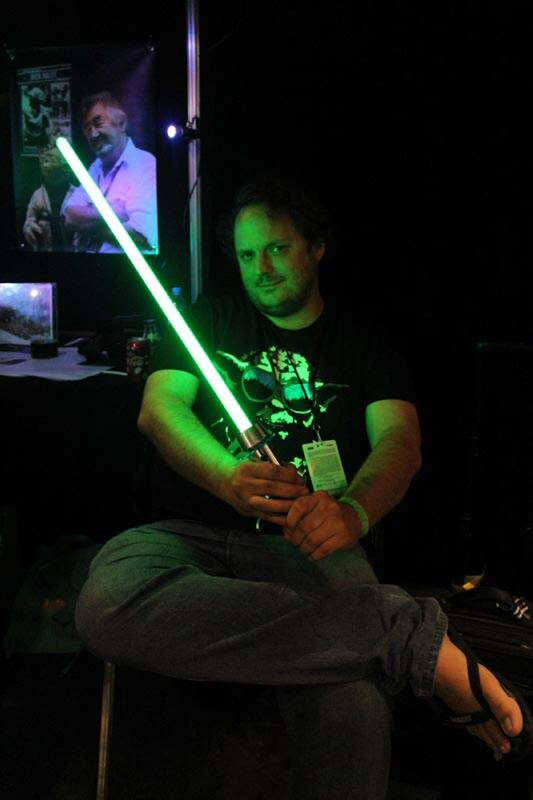 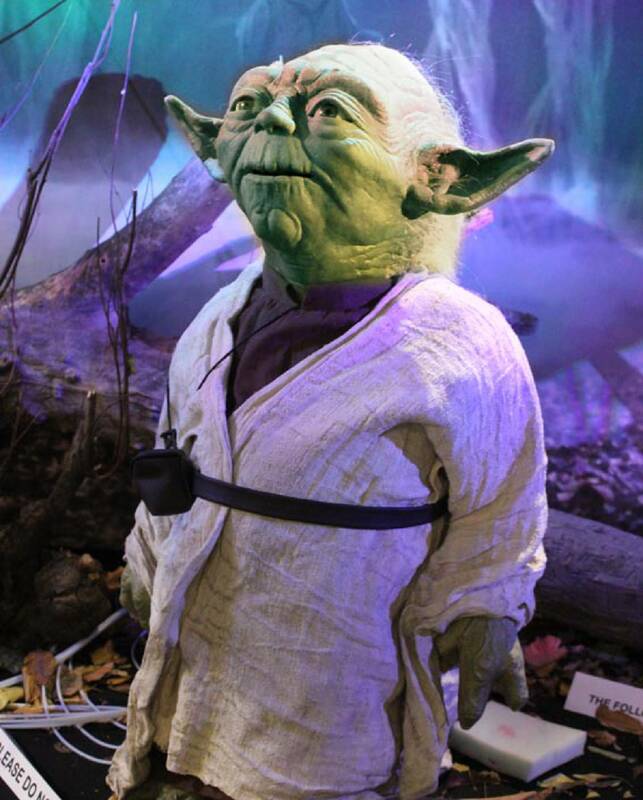 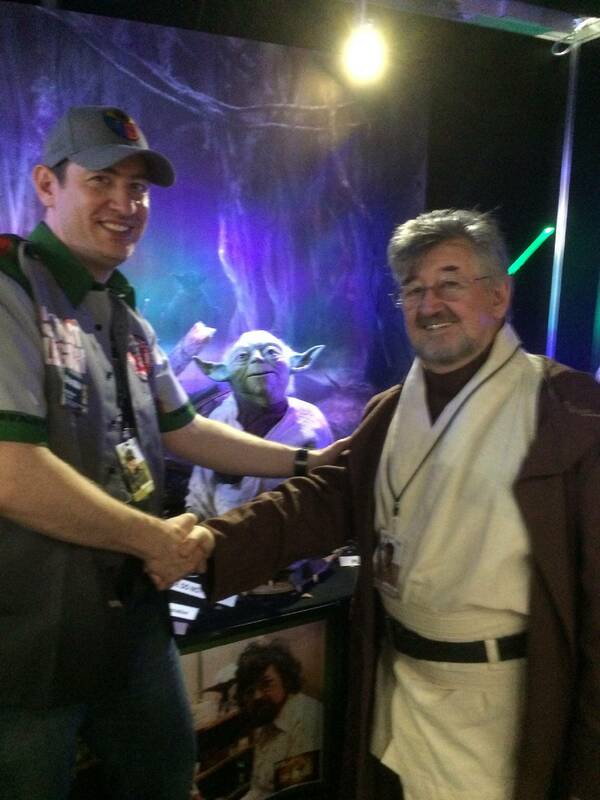 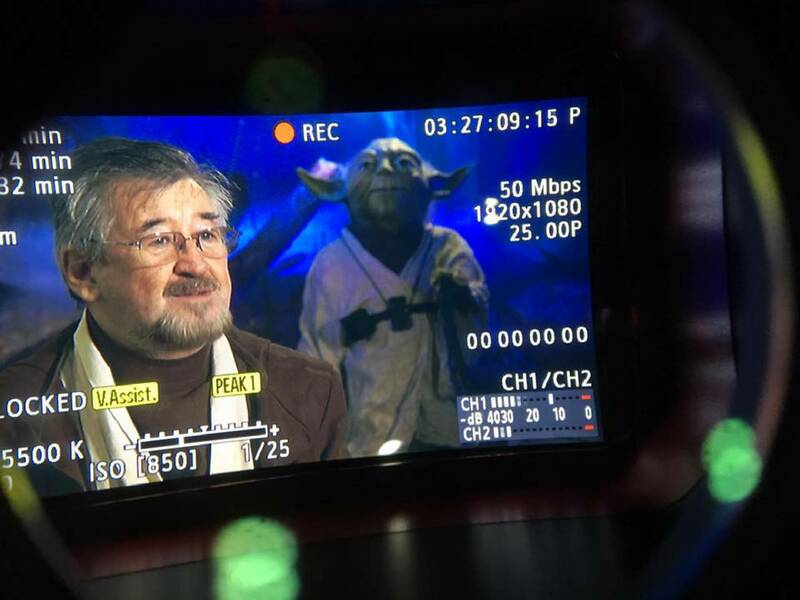 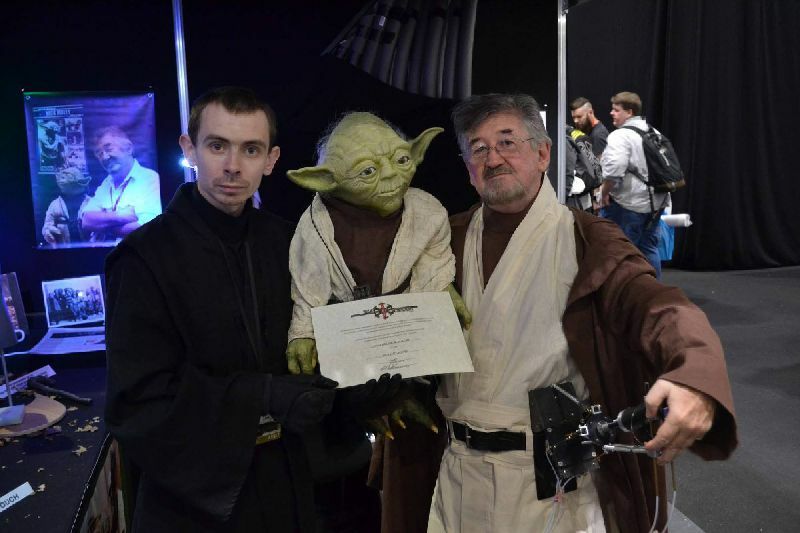 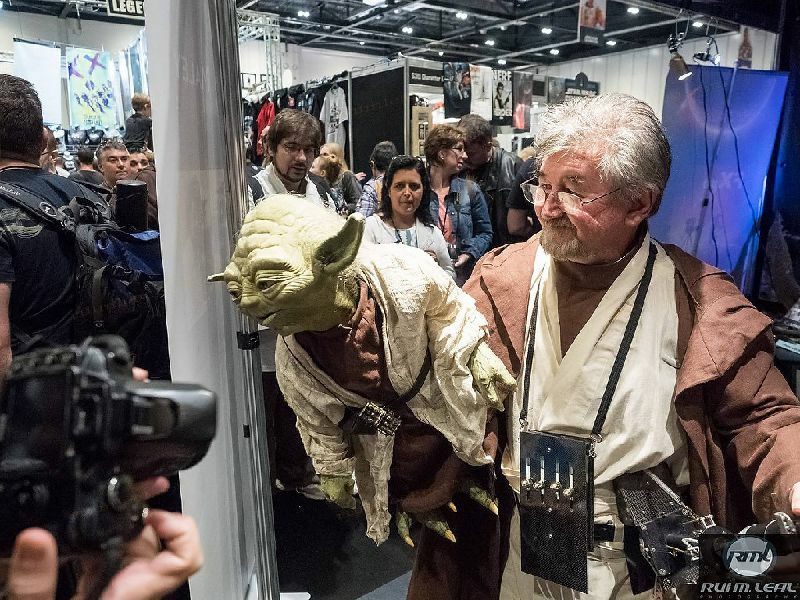 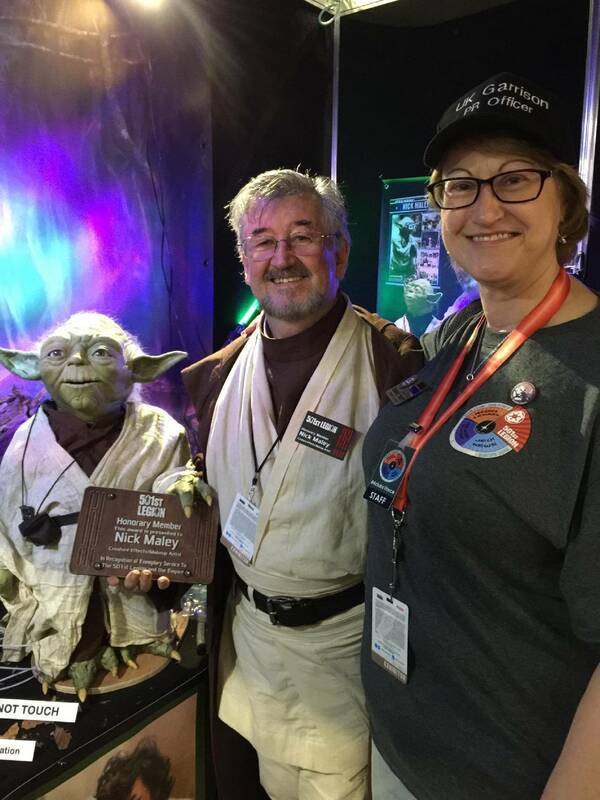 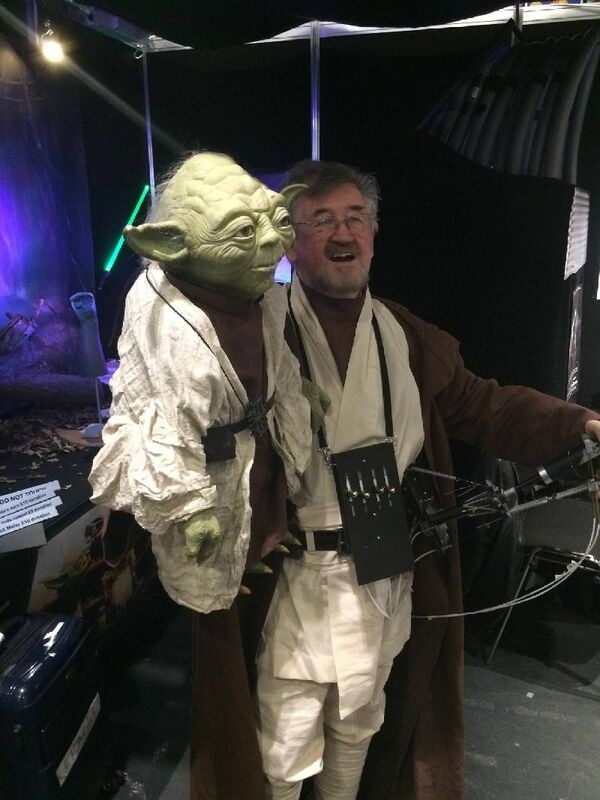 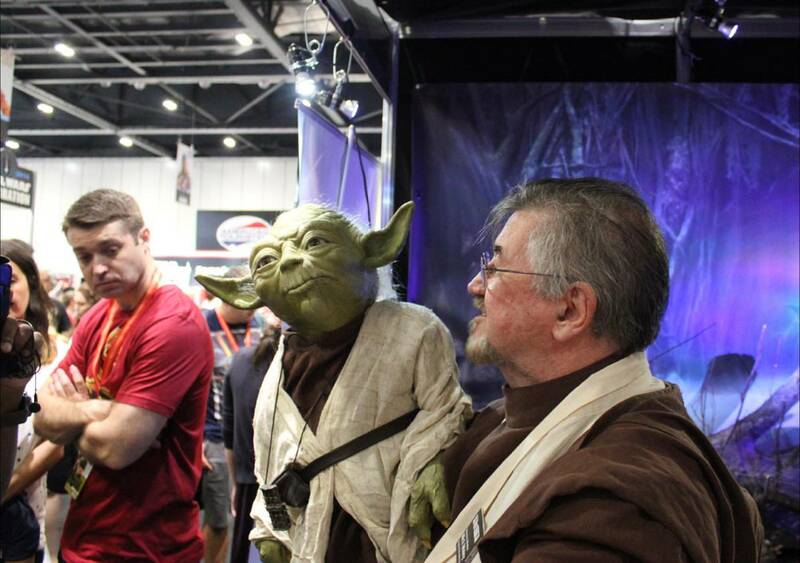 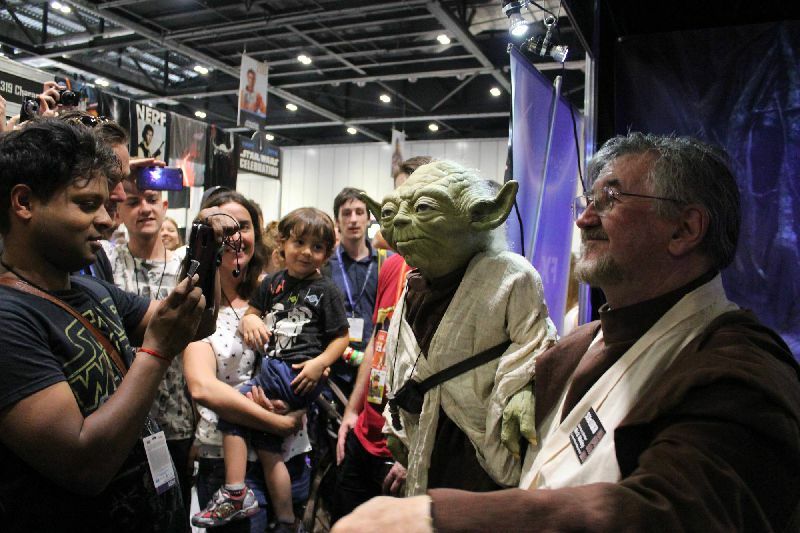 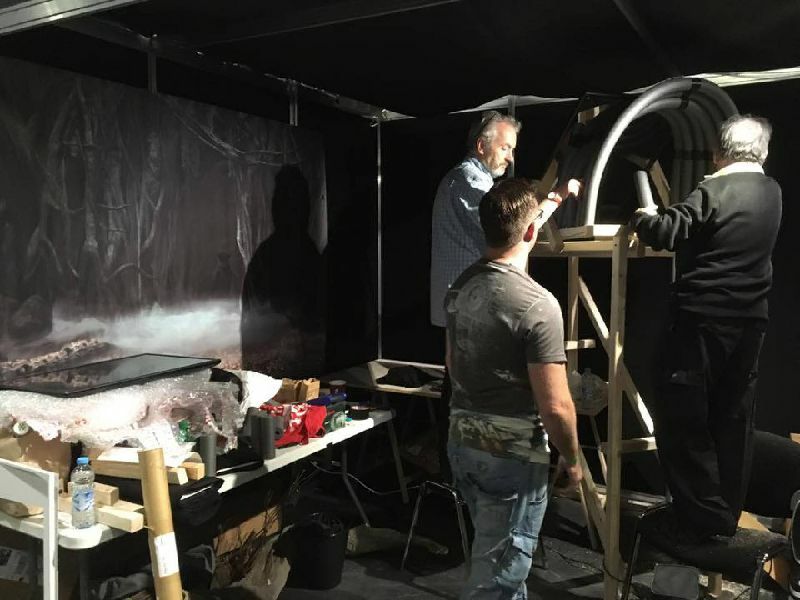 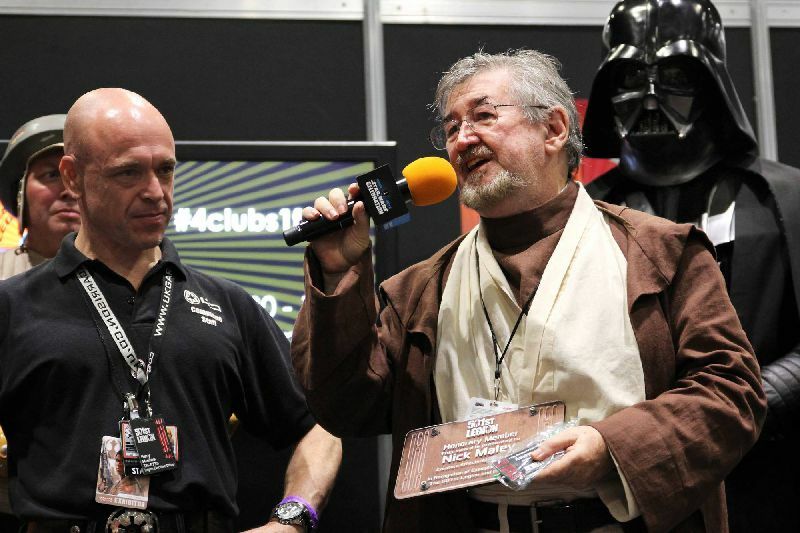 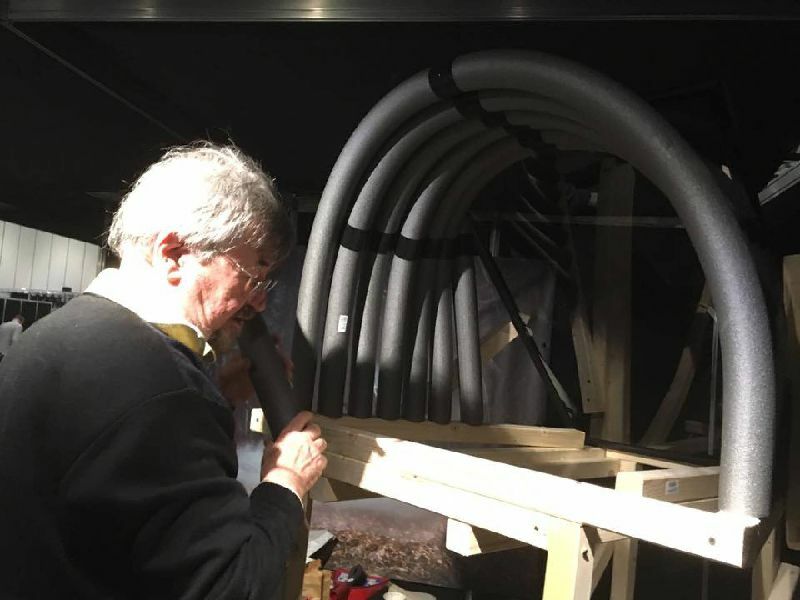 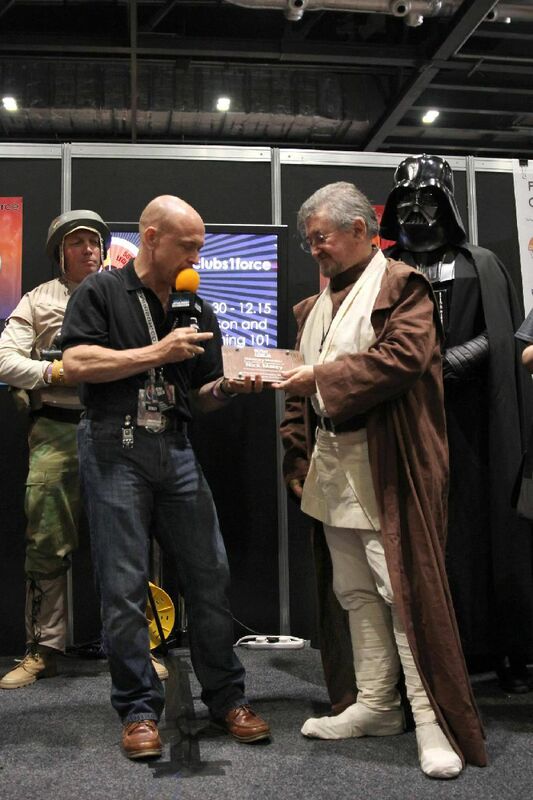 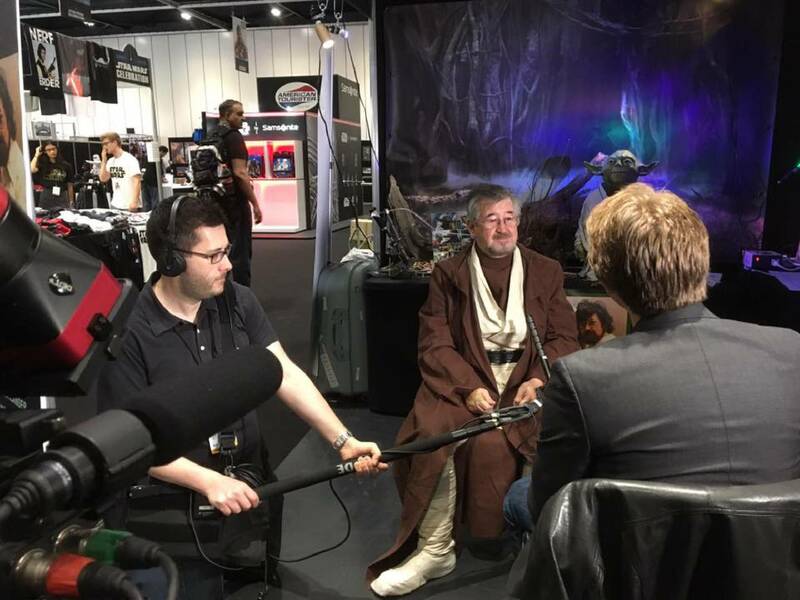 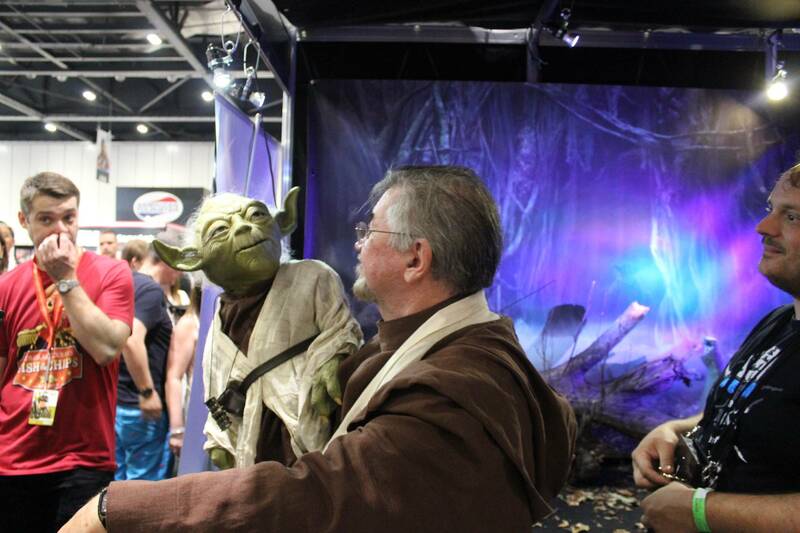 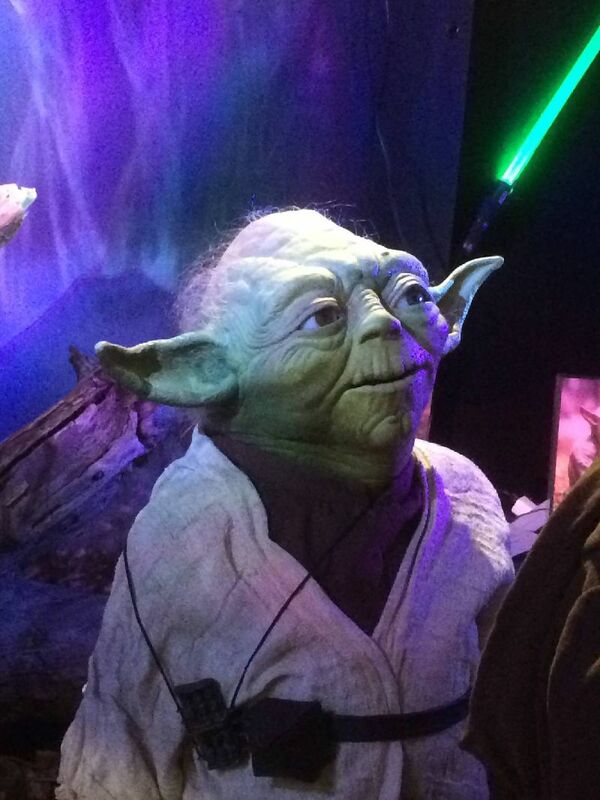 STAR WARS CELEBRATION EUROPE 2016: Having completed the first prototype of his Saving Yoda project, Nick Maley was invited to show the puppet at SWCE where fans were amazed to see a full working Yoda. 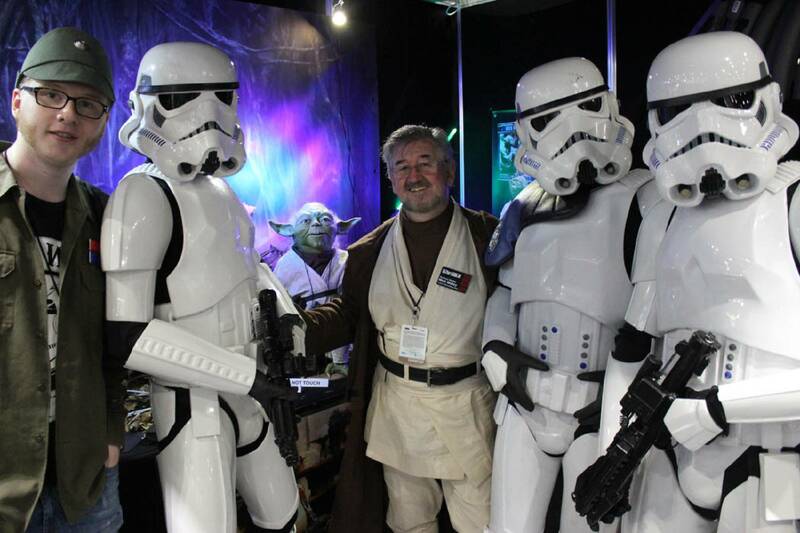 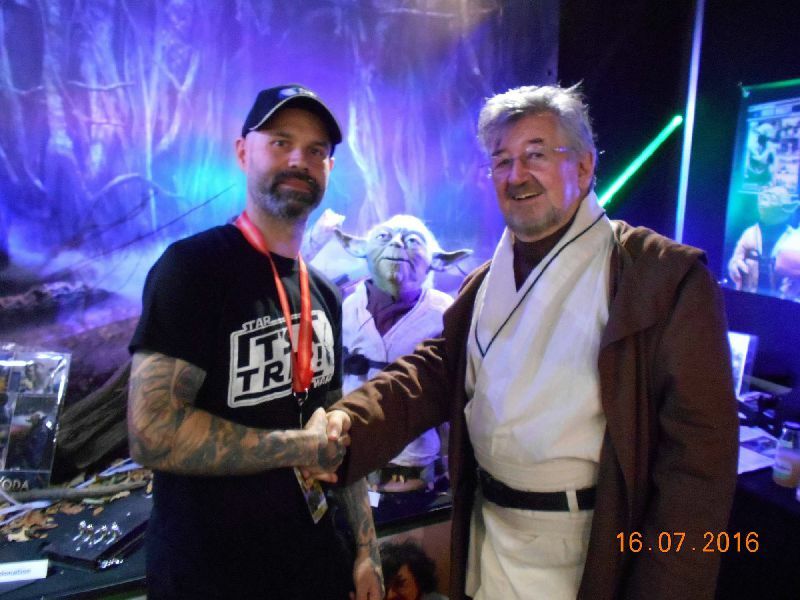 As an added bonus, Albin Johnson, founder of the 501st Legion had organized for the UK Garrison to induct Nick into the 501 st at the same event. 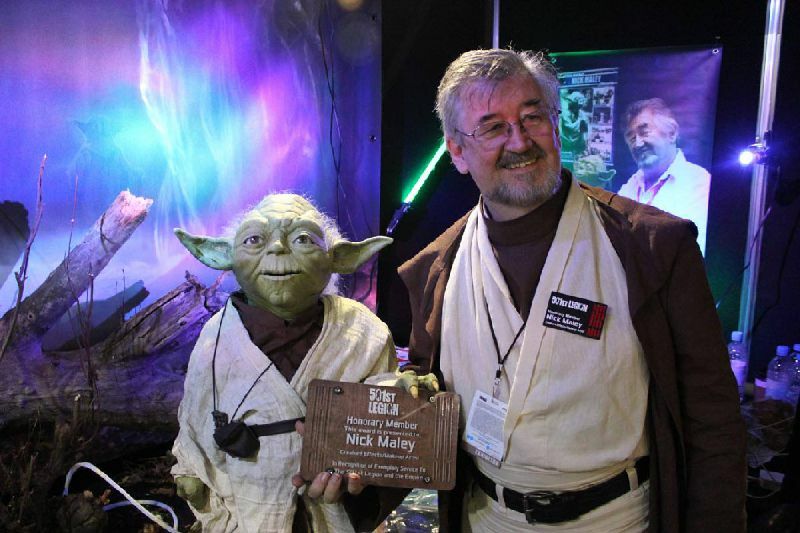 "I have always had the highest respect for the 501st," Nick says. 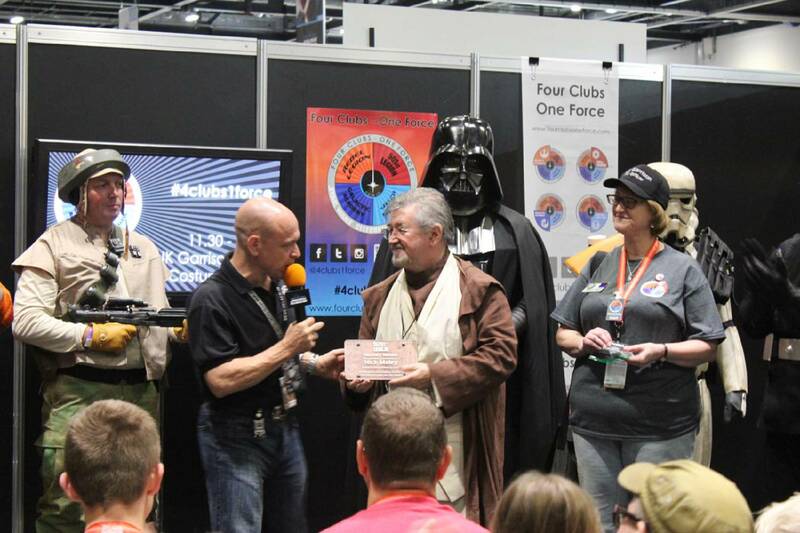 "So I felt privilaged to be an Honorary Member." 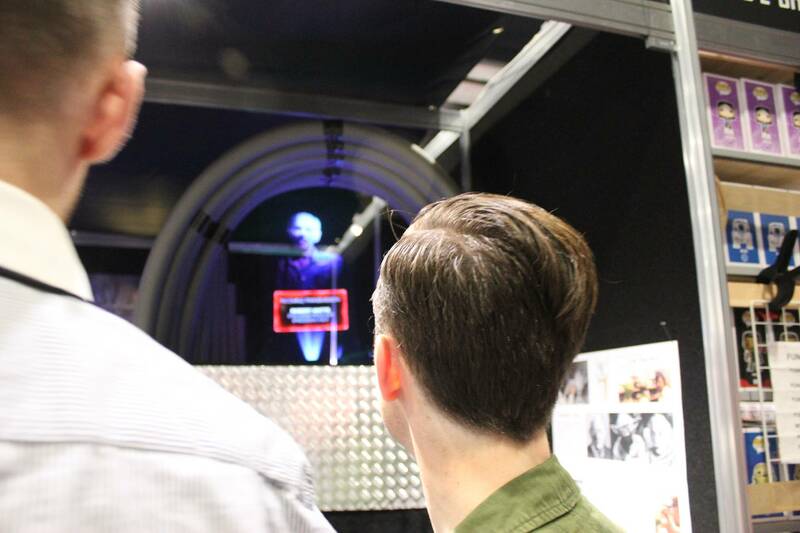 Nick says, "I need to say a special THANKS to my good friend Phil Conrad who drove our display to London from Nuremberg and then back for our miniFXpo Exhibit. 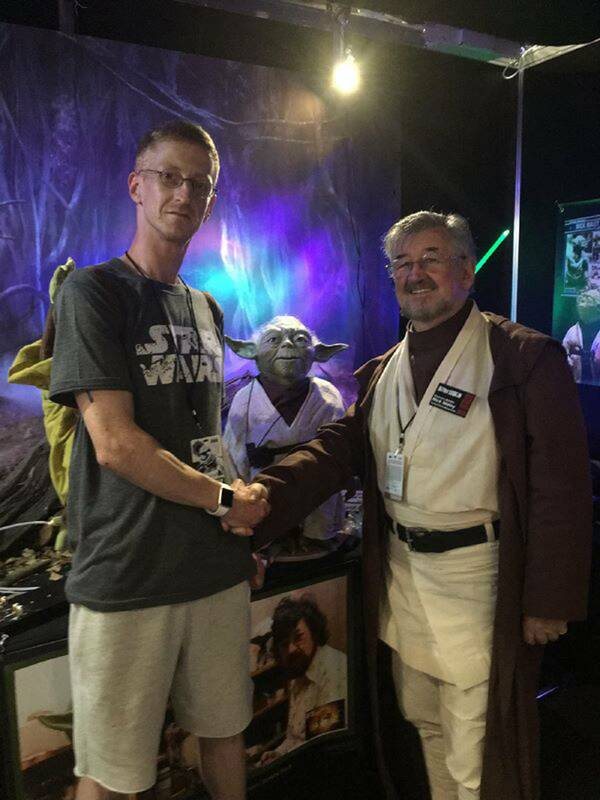 Also my cousin Chris Howison and son Alex who came to help errect the display and help me build a holographic stand in just a few hours. 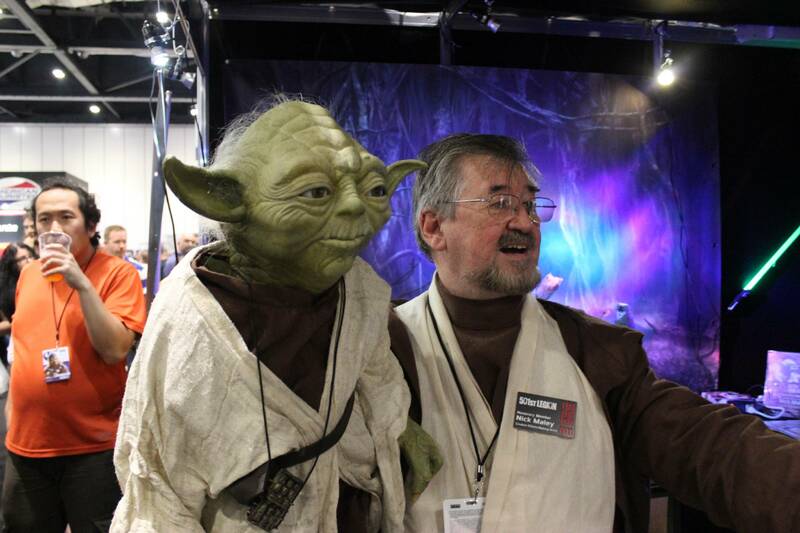 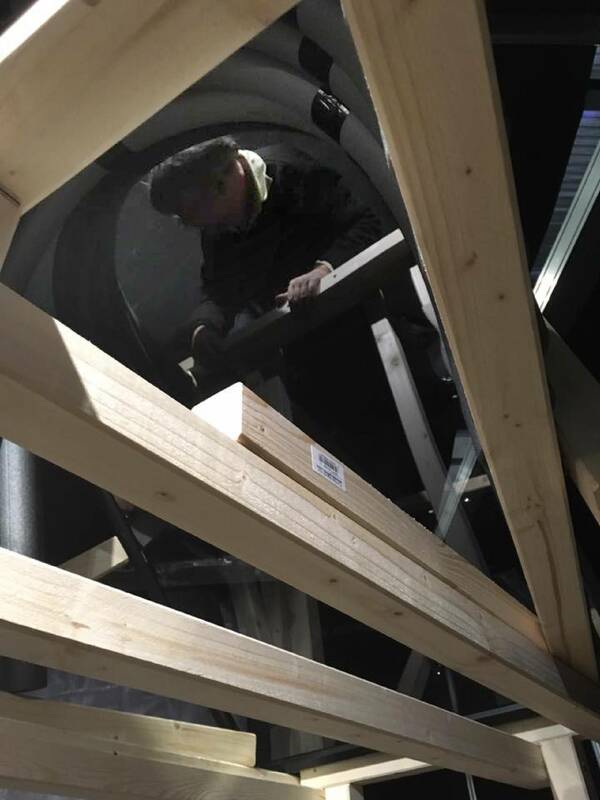 I COULD NOT HAVE GOTTEN THIS EXHIBIT UP IN TIME WITHOUT THEIR HELP. 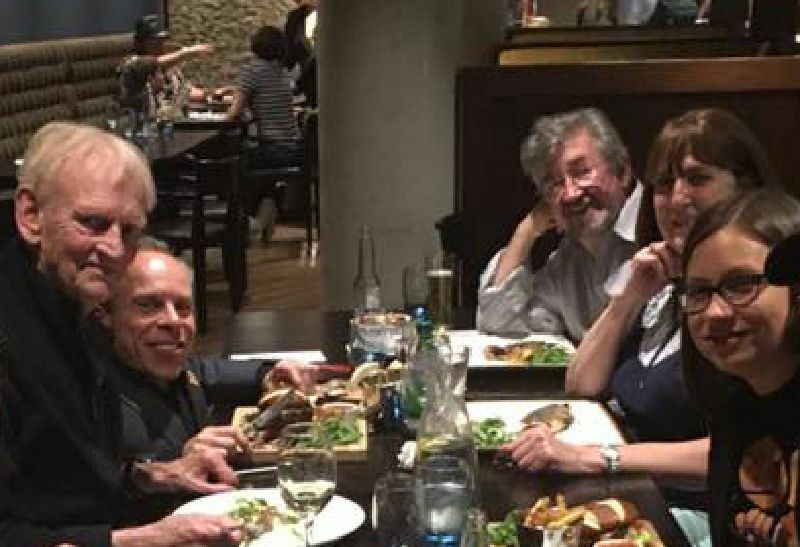 Thanks guys."